Harris Search Associates recruits Dr. Richard Wlezien as Vice Provost and Dean of the College of Engineering and Computing (CEC) at Missouri University of Science and Technology (Missouri S&T). Harris Search Associates has recruited Dr. Richard Wlezien as Vice Provost and Dean of the College of Engineering and Computing (CEC) at Missouri University of Science and Technology (Missouri S&T). Dr. Richard W. Wlezien, the Vance and Arlene Coffman Endowed Department Chair in Aerospace Engineering at Iowa State University and a former researcher and program director at NASA and the Defense Advanced Research Projects Agency (DARPA), has been named vice provost and dean of the College of Engineering and Computing at Missouri University of Science and Technology. Dr. Robert J. Marley, provost and executive vice chancellor for academic affairs at Missouri S&T, announced Wlezien’s appointment today. Wlezien will begin his new duties on Aug. 1, succeeding Dr. Richard Brow, Curators’ Distinguished Professor of materials science and engineering, who has served as interim vice provost and dean since July 2016. Wlezien joined Iowa State as chair of aerospace engineering in August 2010. 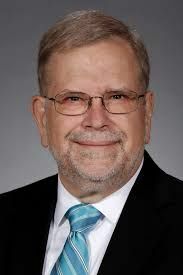 He also serves as director of the Iowa State Space Grant Consortium, a position he assumed in 2016. Before joining Iowa State, he served as chair of mechanical engineering at Tufts University in Medford, Massachusetts, from 2006 to 2010. Missouri S&T’s College of Engineering and Computing is composed of nine academic departments: chemical and biochemical engineering; civil, architectural and environmental engineering; computer science; electrical and computer engineering; engineering management and systems engineering; geosciences and geological and petroleum engineering; materials science and engineering; mechanical and aerospace engineering; and mining and nuclear engineering. Last fall, nearly 7,400 students, or more than 80 percent of Missouri S&T’s student body, were enrolled in the college. Wlezien began his career at the McDonnell Douglas Research Laboratories, working in jet aeroacoustics, boundary layer receptivity and active flow control for the aerospace company, which later merged with Boeing. He then worked at NASA Langley Research Center, focusing again on active flow control and boundary layer transition to turbulence. At DARPA, he managed the program which led to the first demonstration of reduced sonic boom for a supersonic aircraft and the first flight demonstrations of active flow control. At NASA headquarters, he oversaw programs under which both the highest (Helios at 20 miles) and the fastest (the Mach 10 Hyper X) powered aircraft flights occurred. Upon returning to active research, he has once again focused on active flow control, the physics of transition to turbulence, and viscous drag reduction. Wlezien’s leadership experience began at NASA Langley Research Center, where he pioneered the Aircraft Morphing Program and led the Advanced Measurements and Diagnostics Branch. At DARPA, he led the Quiet Supersonic Platform Program and the Micro Adaptive Flow Control Program in the Tactical Technology Office. He went on to lead the Vehicle Systems Division at NASA headquarters, where he oversaw all NASA air vehicle technology development across four NASA centers and ultimately established the Fundamental Aeronautics Office. Wlezien has worked throughout his career to promote diversity through mentoring and hiring practices and establishing a culture of inclusiveness. At ISU, he pioneered a joint capstone design sequence with North Carolina A&T University, in which diverse teams work cross-country toward a common goal. This program has just completed its fifth year under the sponsorship of Boeing. Wlezien earned his bachelor’s, master’s and Ph.D. degrees in mechanical and aerospace engineering from the Illinois Institute of Technology. He is a fellow of the American Institute of Aeronautics and Astronautics, has served as vice president of education for the AIAA and is the recipient of the NASA Exceptional Service Medal.